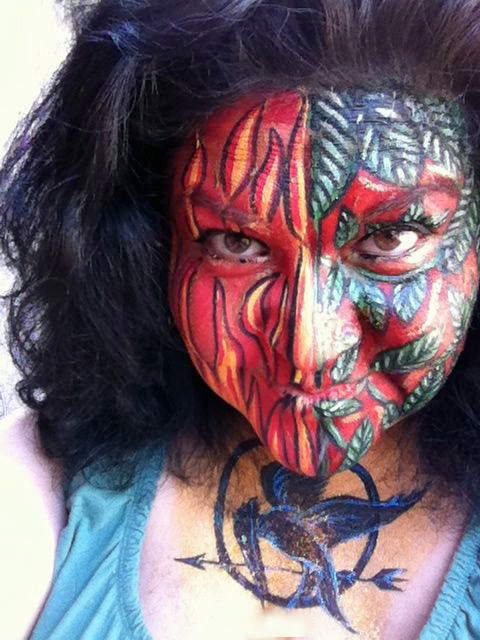 The Hunger Games-inspired facepainting. My 'tribute' to Katniss Everdeen: Half my face is painted with foliage for hiding in the woods; and the other has flames to go with her initial on-screen debut where she shows off the amazing dress that Cinna makes for her! My husband painted the Mockingjay on my chest because we ran out of room on my face! Last year I became addicted to The Hunger Games trilogy. Think of a teenage version of Survivor – with the twist being that only one person will be left breathing at the end of the series. The story is vivid, emotional, multi-layered and features flamboyant people from “The Capitol” who tattoo, paint their faces and bodies in elaborate designs. They even sport huge, crazy wigs, implant whiskers and permanently embed gems into their skin. Anything goes for the sake of fashion! The author leaves the ultimate vision up to the reader’s imagination, and that was enough for me to get creative. And with the movie coming out later this month, I put my vision into action using Tulip Body Art! Click here to see the actors on their mall tour this week. 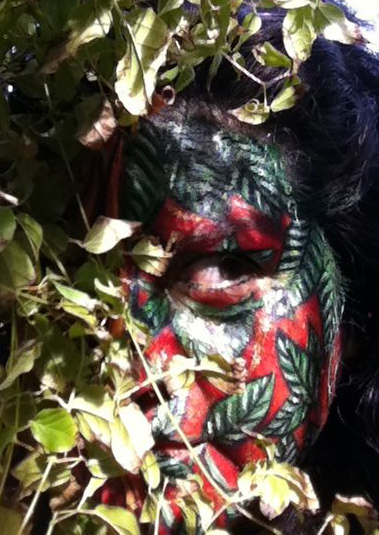 Body art inspired by people who live at The Captiol. Jewel-toned mosaic blocks with an embedded crystal. This is my friend, Dania from http://LaBeautyPie.com. 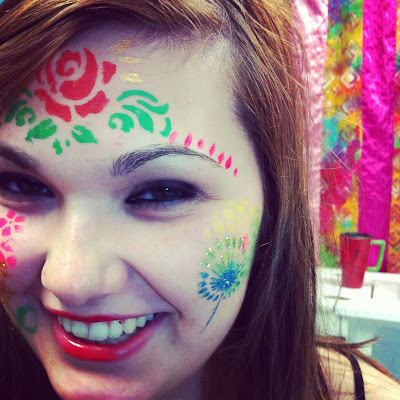 I recently gathered some fellow Hunger Games friends and we painted our faces inspired by the characters. The first three are what we think some of the Capitol designs could look like, bold and bright, contrasted by shimmery gold and jewel-tone accents. My Katniss-inspired camouflage. See? I told you I was a geek! More Capitol-inspired designs. Lots of gold accents, like the character of Venia! Basic painting with glittery designs! 1. Wash your face and apply a thin layer of lotion. 2. 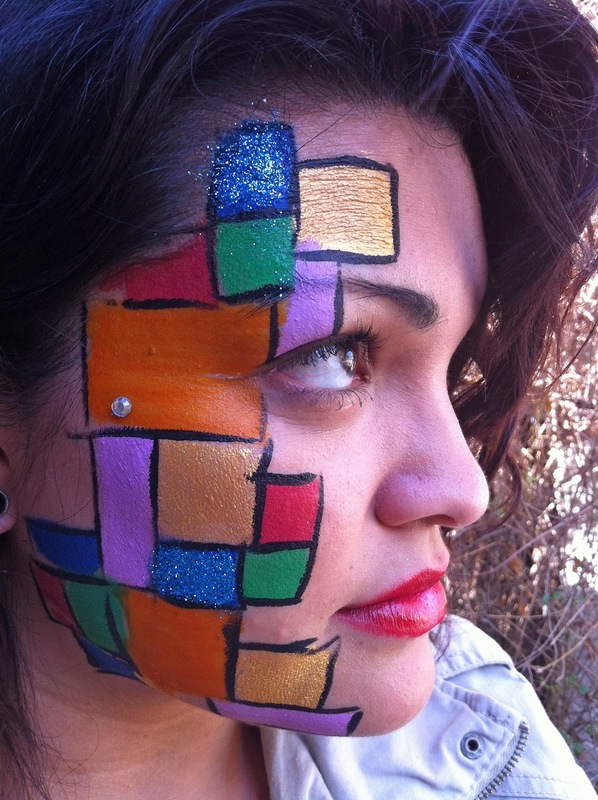 Choose a stencil and apply to skin, press down with fingers so there are no gaps. 3. Dip the sponge in water and then rub in Body Art paint until you get a smooth and creamy consistency. 4. Dab the paint over the open areas of the stencil. 5. Continue until stencil is covered. Peel away stencil. 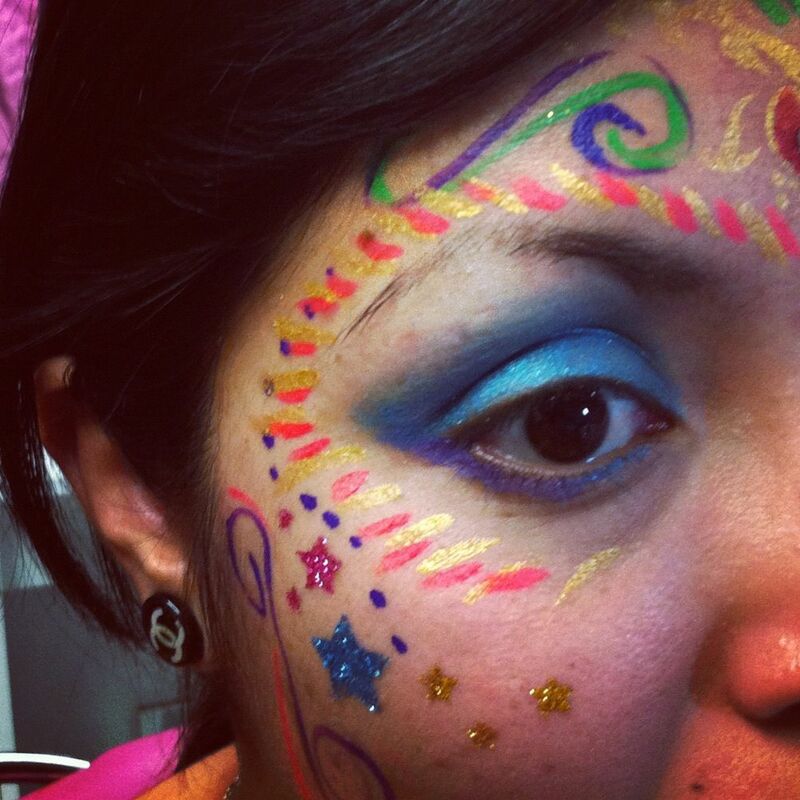 TIP: If you want to add glitter, before removing stencil, add Tulip body Art Adhesive and use brush to add glitter. 1. Wash your face and cover it with a thin layer of lotion. 2. Choose a foundation color. 3. Dip a sponge in water and rub it in the make up until you get a smooth and creamy consistency. Smooth it on around your face, avoiding the eyes and mouth areas. Let dry. 4. Use one of the brushes and begin to draw out your design shapes using a base color – for example, if you are painting leaves, use green. 5. Use the darker colors for shading and contour. Very Crafty and beautiful face painting designs made with airbrush art which give a sparkle look to face with fun. This is a useful guide. However, I wish you had started with infant gifts. I have had a terrible time buying items for my granddaughter that aren’t a) pink and/or b) ridiculous. And please don’t get me started on why every single piece of boy’s clothing seems to have a sports-related design. Why on earth are baby toys gender-specific?